(ANS – September 21, 2018) — As political and religious divisions widen and deepen around the world, Gospel for Asia inspires peacemakers on the International Day of Peace. We hope that a simple story of reconciliation and forgiveness will inspire more people to pray and work for peace. But that ideal is far from being realized. The 2018 Global Peace Index reports on “a world in which the tensions, conflicts, and crises that emerged in the past decade continue to grow.” The report marks the fourth consecutive year in which world peace—based on measures including crime, conflict and political instability—has statistically deteriorated. In the light of this discouraging trend, GFA is showing the way peace came to one community where its supported workers have been serving, to offer hope that small change repeated enough can lead to a big change. 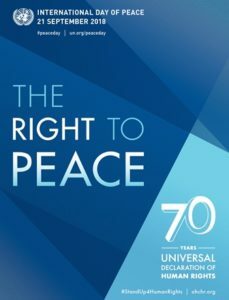 The International Day of Peace is an example recorded by GFA-supported workers— and points to “the pathway to real peace,” says GFA founder, Dr. K.P. Yohannan. Posted at the organization’s website, the inspiring story comes from a family living in Asia. The family of day laborers found themselves suddenly ostracized by their neighbors after being accused of being under the power of evil spirits. After being ignored by the rest of the community for several months, the family approached a believer in the area who was known for her prayers and faith, for help.